Real World VR, is Melbourne’s ﬂagship VR/AR/MR event and presents a series of high quality virtual, augmented and mixed reality events on a bi-monthly basis. Featuring talks, panel discussions, and VR demos, this month’s event explores the potential of these cutting-edge technologies to create positive change in the world. Experience a selection of virtual reality (VR) films hand selected from Transitions Film Festival . VR Sessions are 45 minutes duration and must be pre-booked on Eventbrite (limited numbers so book early). – The Crystal Reef: Co-Director Cody Karutz & Produced by Virtual Human Interaction Lab. CHASING CORAL – Following Chasing Ice, US filmmaker Jeff Orlowski returns with the underwater VR experience Chasing Coral: The VR Experience, which follows scuba diver and researcher Zackary Rago as he documents the unprecedented 2016 coral bleaching event at Lizard Island on the Great Barrier Reef. VIRTUAL TARKINE: Enter the world of Australia’s largest remaining cool temperate rainforest: Tasmania’s Tarkine. Delve into the wild windswept beaches, extensive buttongrass plains and pristine wild rivers. This VR experience will take your breath away. Speaker, Panel + Q&A, large-format screens, demos and networking on Samsung Gear VR / Google Cardboard, VR Showcase (VR Film Package 45 minute duration of three sessions – must pre-book). 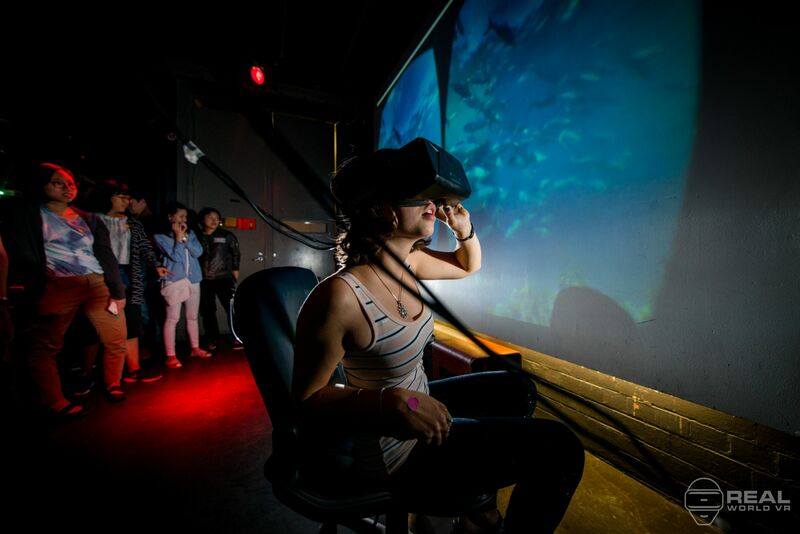 $15 Entry + VR Showcase Package, part of the Transitions Film Festival VR Sessions. Includes VR films: – (Virtual Tarkine: The Bob Brown Foundation, Chasing Coral: The VR Experience (USA, 2017), Director: Jeff Orlowski, The Crystal Reef: Co-Director Cody Karutz & Produced by Virtual Human Interaction Lab, Remain At Home: Director – Gero A.E Egger, Go Pictures). Emma has a breadth of Community Organising experience working across a variety of campaigns and programs for peak environmental NGO’s such as the Nature Conservation Council of NSW, Greenpeace and the Wilderness Society. Emma’s work with the Bob Brown Foundation focuses on galvanising support and building momentum for the protection of takyana/Tarkine in Tasmania’s North West, from Melbourne. The Foundation has recently embarked upon the use of VR technology to enable supporters to connect with takyana/Tarkine, one of the last great wild places left on Earth. It is currently under threat for rainforest logging, mining and off road vehicles. Hear how you can join the campaign to protect this special place as a World Heritage listed National Park including return to Aboriginal Ownership. We will host a panel disscussion and Q&A session with a selection of Virtual Reality filmmakers and changemakers on the topic; positive chage. Panelists include Ahmed Salama Co Founder of That Start Up Show (VR film on empathy) and more. MC – Anna Reeves. We will have a selection of 360/VR films for you to view, demos are one film per person. Meet Virtual reality filmaker enthusiasts, filmmakers panelists and speakers. Films include In The Presence of Animals, Network Rail & Virtual Tarkine).